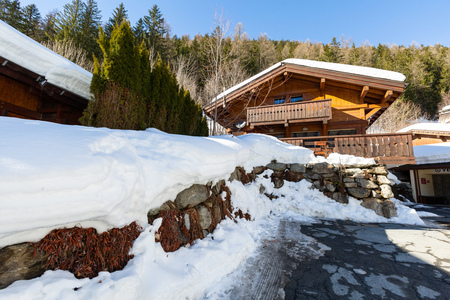 Be captivated by this scenic luxury chalet, ideal for groups of 10-12! 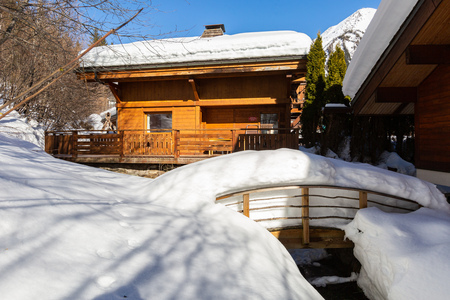 Positioned in a quiet, natural woodland setting in the Clos du Chantey Mourry area and within easy reach of Les Grands Montets ski lift, this 5-bedroom chalet offers an exceptional location. 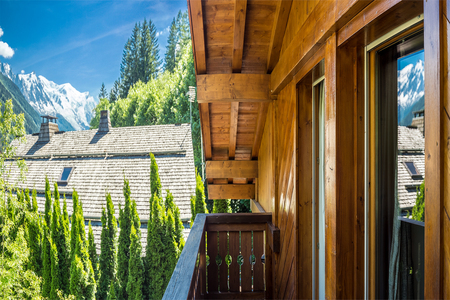 With panoramic views of Chamonix’s Mont Blanc Massif to savour, the well-equipped, luxury chalet provides the perfect holiday base for all seasons. Inside, the ambient and tastefully-decorated interior features an inviting living room, which is equipped with a romantic fireplace, a cosy leather sofa suite, free WiFi access and a SAT TV with UK channels and DVD player. A well-equipped, bespoke fitted kitchen is ready and waiting to serve up tasty meals throughout your stay (be it on a self-catering, B&B or catered basis)*. Also, to the welcoming ground floor, is an en-suite guest bedroom with double/twin bed and 1 extra single bed. To the upper 1st floor, a double en-suite bedroom is provided, alongside 2 twin en-suite bedrooms and 1 double/twin en-suite bedroom with 1 extra single bed to the 2nd floor. 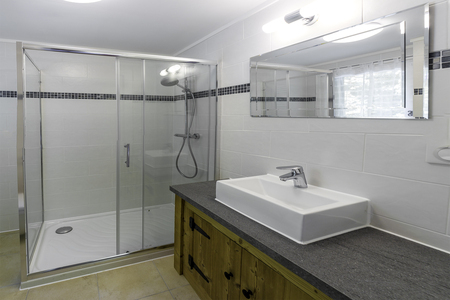 For added convenience, the chalet also features an extra shower room and a separate WC. 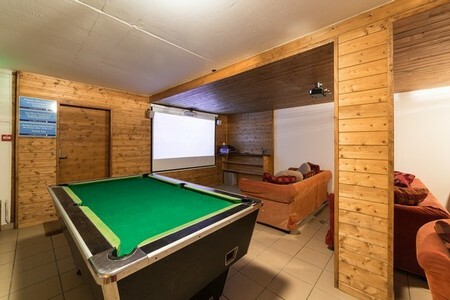 The flexible chalet is also equipped with an HD movie-games room with pool table, ski boot warmers and private on-site parking. 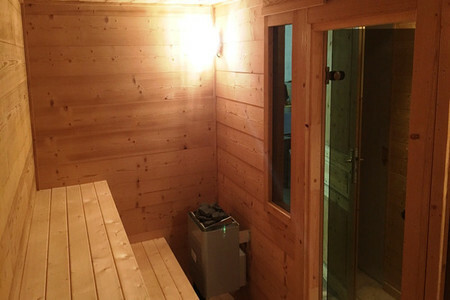 For an added dose of luxury, the 3-storey chalet is equipped with a sauna and outdoor jacuzzi. The sunny private garden also benefits from a BBQ and idyllic alfresco dining area. *Upon request and for an extra charge, the chalet can also be available on a B&B basis (with the added option of dinner available too, for an additional charge). 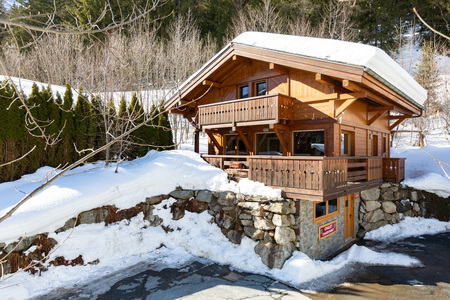 From its serene, natural setting, Les Grands Montets is 3 minutes’ drive away. 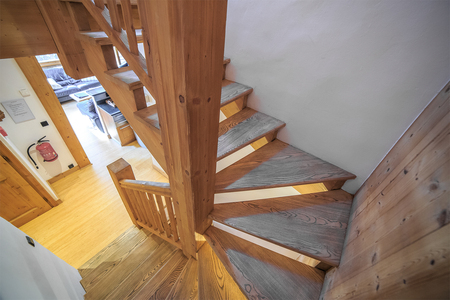 The resort amenities of Argentiere are just 2 minutes’ drive away. Sleeping- Ground floor- Bedroom 1: Spacious room with double bed/twin beds, single bed & full en-suite shower 1st floor - Bedroom 2: Double bedroom with full en-suite shower room 2nd floor- Bedroom 3: Flexible twin room with full en-suite shower room Bedroom 4: Flexible twin room with full en-suite shower room Bedroom 5: Spacious room with double bed/twin beds, single bed & full en-suite shower Bathrooms- En-suite Bathroom 1: Shower room with wash basin & WC to Bedroom 1 En-suite Bathroom 2: Shower room with wash basin & WC to Bedroom 2 En-suite Bathroom 3: Shower room with wash basin & WC to Bedroom 3 En-suite Bathroom 4: Shower room with wash basin & WC to Bedroom 4 En-suite Bathroom 5: Shower room with wash basin & WC to Bedroom 5 Family bathroom: Shared family shower room Service Bathroom: Separate family WC with wash basin Additional- • Chalet is available on a self-catered or B&B basis, with optional dinner service available • Free WiFi • Flat screen SAT TV with UK channels & DVD player • HD Movie-games room • Music stereo • Pool table • Sauna • Outdoor jacuzzi • Central heating • Fireplace • Dishwasher • Hairdryer • Laundry facilities • Ironing facilities • Ski boot heater • Ski boot storage • Pets considered (upon request) • 26 internal steps • Alfresco dining set • BBQ • Private garden • Near ski shuttle bus Location- The luxury 3-storey chalet enjoys a quiet, woodland setting along ‘Domaine du Chantey, Rue du Plagnolet’. 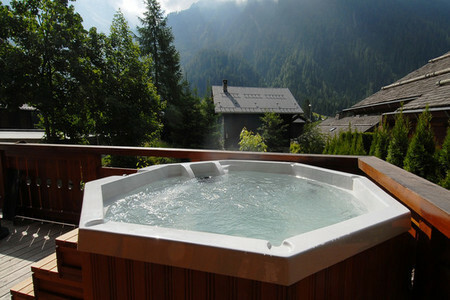 Guests are placed 2-3 minutes’ drive from the resort amenities of Argentiere and the ski slopes of Les Grands Montets. The buzzing resort centre of Chamonix is 14 minutes’ drive away, whilst Geneva airport is 17 minutes’ drive away. The additional service charge is 780.